Are you aware how many of the election contestants are billionaires or with criminal background? The parliamentary elections in our country are conducted in several Phases. Accordingly, the 2nd Phase of the parliamentary elections is scheduled to be conducted in some states including Tamil Nadu on 18th April. The political parties have been feverishly hectic on the election campaigns. 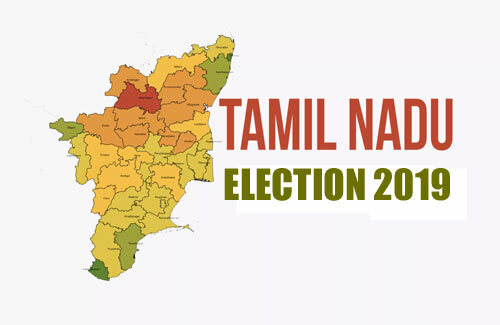 In this scenario, ADR (Association For Democratic Reforms) has released the results of the survey conducted regarding the personal details of 802 contestants out of the total 845 contestants in Tamil Nadu. The data I the survey has been compiled as per the details given by the contestants while filing their nominations. With the above survey, the details of how many contestants are billionaires and how many have a criminal background, etc have come to light! According to the survey conducted by ADR, 184 contestants are billionaires (Crorepathis). This means that 23% of the contestants are crorepatis. Out of this, 76 candidates are independents. The balance candidates belong to important political parties. Out of the list of crorepati candidates, the Congress Party contestant Vasanthakumar is in the 1st place! The survey mentions he has properties worth 417 Crores. Isakki Subbaiah, of AMMK party, is in the 2nd place. He has properties worth Rs. 237 Crores. A C Shanmugam is in the 3rd place with properties worth Rs. 126 Crores. On the other side of the survey, there are very poor contestants absolutely without any property! 16 contestants have declared that they have no properties in the applications. Another interesting feature is that 3 of the contestants have properties worth less than Rs. 100! The survey reveals that 67 contestants have been charged with severe criminal offences. In this list, the independent contestant Eswaran in Erode is in 1st place with 14 cases. Dharmapuri PMK contestant Anbumani Ramadoss is in the 2nd place with 12 criminal cases. Among the total contestants in Tamil Nadu, 13% of contestants have pending criminal cases. Out of this, 7% of contestants are facing severe criminal offence charges. Further, the survey reveals that 80% of contestants are graduates. 8% are women. 38% of the contestants are under 40 years of age. Around 140 contestants have failed to record their PAN card numbers!